April 10, 2019 | Palliative care is designed to help anyone living with a serious disease like heart failure, cancer or dementia. In addition to improving quality of life and helping with symptoms, palliative care can help patients understand their choices for medical treatment. To bring more awareness about the positive aspects of this medical specialty, the UAMS Division of Palliative Medicine is hosting An Evening with Dr. B.J. Miller this Wednesday at the Ron Robinson Theater in downtown Little Rock. Miller is a palliative care physician in San Francisco who began his “formal relationship with death” at age of 19 when he was involved in an accident that resulted in the amputation of one arm below the elbow and both legs below the knee. The program will include a screening of the Oscar–nominated short documentary “End Game,” followed by Miller’s presentation and a question and answer session. For more information, visit cancer.uams.edu/bjmiller. April 10, 2019 | Some serious chronic medical illnesses, such as certain kinds of cancer, heart failure, and dementia, cause significant suffering and impair a person’s quality of life. Palliative care is a form of treatment that focuses on decreasing pain and suffering by providing relief of symptoms along with comfort and support for patients of all ages. It is used to relieve symptoms such as pain, shortness of breath, fatigue, constipation, nausea, loss of appetite and difficulty sleeping. It helps the patient gain the strength to carry on with their daily life. It improves their ability to tolerate medical treatments and it helps them have more control over their care by providing them with a better understanding of their choices for treatment options. Palliative care is provided by a team of doctors, nurses, and other specialists who work with a patient’s other doctors to provide an extra layer of support and improve communications between the patient and their health care provider. April 10, 2019 | Palliative care is specialized medical care. It is focused on providing patients with relief from the symptoms, pain, and stress of a serious illness – whatever the diagnosis. Receiving palliative care does not necessarily mean the patient is dying but rather needs more specialized treatment to address these specific symptoms and improve their quality of life. Palliative care, which is available to a patient at any time during their illness, is different from hospice care, which is usually provided when a patient is at the end of life. Palliative care is appropriate at any age and at any stage in a serious illness, and can be provided together with curative treatment. The palliative care team typically spends equal amounts of time with the patient and their family to not only treat the patient’s condition but anticipate their future needs. They will also help the patient experience a smooth transition between the hospital and other services, such as home care or nursing facilities. 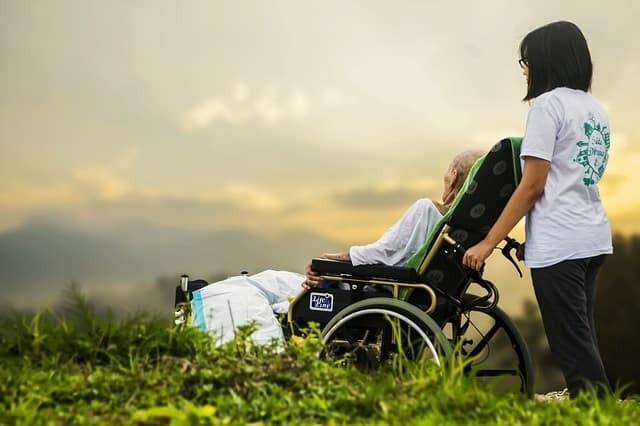 April 10, 2019 | Palliative care is most often provided in a hospital, where the patient can receive attention from a team of professionals, including medical and nursing specialists, social workers, pharmacists, nutritionists, clergy and others. Most insurance plans cover all or part of the treatment a patient receives in the hospital, just as they would other services. Medicare and Medicaid also typically cover palliative care. Families may need help with developing a plan to manage the emotional and financial strains of caregiving. Any concerns about the cost of palliative care can be addressed by a social worker or financial consultant from the care team. These health care professionals can educate families about the patient’s problems and provide advice on care such as giving medication and recognizing symptoms that require immediate medical attention. Their help can be extremely beneficial to those having difficulty navigating the often confusing health system. April 10, 2019 | Long-term physical illnesses can cause psychological and spiritual distress, which may present as anxiety, depression, hopelessness, and fatigue. Feelings of sadness, hopelessness or worthlessness, the inability to make decisions, fatigue and a loss of interest in favorite activities are signs of possible depression. If these feelings persist and interfere with the patient’s functioning, they can severely affect his or her quality of life. Treatment is offered in an effort to restore a level of psychological and spiritual well-being. Depression is a treatable disease. Individuals who believe they are depressed need to seek a physician’s help. For conditions such as anxiety and depression, treatment may include supportive psychotherapy, counseling, and the use some medications. Spiritual distress may also accompany a serious illness. Some patients may receive comfort from talking to a chaplain or minister about personal beliefs and spiritual needs.